We help buyers find Asheville cabins for less here in the mountains. 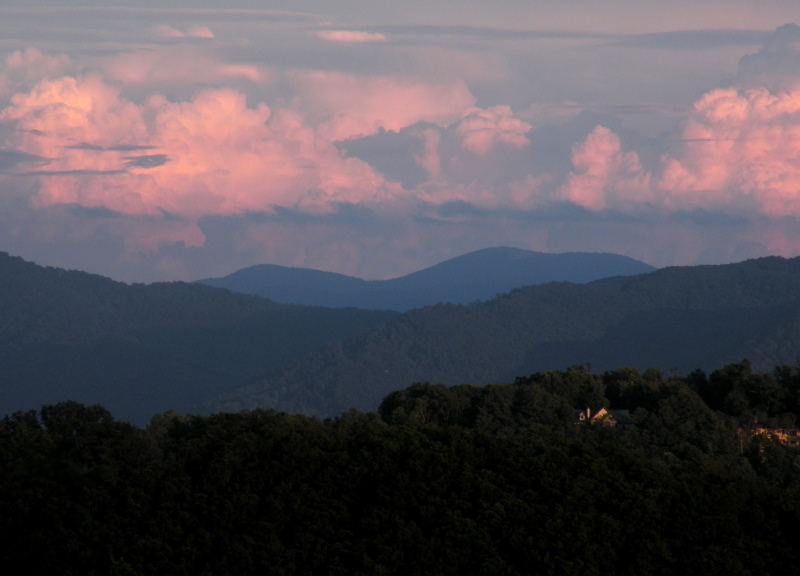 Let us show you around these fantastic mountains and help you find beautiful Asheville cabins for less money here. Our team loves to show and sell rustic and luxury Asheville cabins and there are literally hundreds available in this area. Call our team today at Green Mountain Realty for Asheville cabins for less in these mountains and all other real estate needs. Breathtaking views from this Masterpiece Log Home on 10.8 private acres in High Cliffs at Round Mountain. Hand crafted by Pioneer Log Homes of British Columbia with western red cedar 18 logs. Great room offers two large, open seating areas, 16" antique pine wood floors, stacked stone fireplace with log mantel, great windows and glass doors, timberframe roof system. Kitchen boasts Thermador appliances, custom cabinets, large copper farm sink, hand touch faucet, stone counter tops, rustic maple bar top. Master suite on each level. Lower level master has spa-style bathroom with granite privacy wall for huge walk-in shower. Outdoor living, 3000+/- SF outdoor patio and deck, 620 SF covered porch, fire pit with stone seating. Gated community with walking trails, nature abounds with wildlife and awe inspiring views. 880 SF, 3 car garage with custom carriage house doors, finished walls, timberframe roof system. 25 min. Black Mountain, 45 min. to Asheville. I have a question about the property at 29 Cliffledge Trail Black Mountain NC 28711 (#3416489). I would like to schedule a visit for the property at 29 Cliffledge Trail Black Mountain NC 28711 (#3416489). I have a question about the property at 239 Jackson Road Fletcher NC 28732 (#3485264). I would like to schedule a visit for the property at 239 Jackson Road Fletcher NC 28732 (#3485264). "Casa di Lago" features plenty of natural light with a panoramic lake view. Four fireplaces create an elegant setting for holiday gatherings with an abundance of room for entertaining. The dark walnut stained oak floors add a measure of warmth and luxury. The kitchen, clad in rich cherry cabinets has a sophisticated style capped with detailed Victorian and rope molding and the finest appliances. The convenience of an extra-hefty home elevator means you can conveniently move about with confidence and ease. Adding to the romance to the décor is a spa bath with a jetted rain shower, a relaxing whirlpool and soaking tub designed for two. Fill the air with soothing music from the Russound whole house audio system; the Napco Gemini security system keeps the home secure with alerts for protection. Enjoy the lakeside covered terrace while enjoying the outdoor fireplace glowing, or from a relaxing soaking in the hot tub.https://youtu.be/ZWt9ncL4QS4. I have a question about the property at 1011 Coves Pheasant Court Biltmore Lake NC 28715 (#3408193). I would like to schedule a visit for the property at 1011 Coves Pheasant Court Biltmore Lake NC 28715 (#3408193).